Phobias, anxieties, eating disorders, addiction, pain, and other conditions can have a drastic impact not just in a person’s mind and body, but in almost every aspect of their lives. Their relationship, studies, work, and how they socialize with other people will also be affected when they have a disorder that needs serious attention. Hypnotherapy can help you with such conditions, even in weight loss. It can alleviate a lot of medical and psychological conditions, contrary to what people see on television, which has the tendency to scare other people away from considering hypnotherapy. 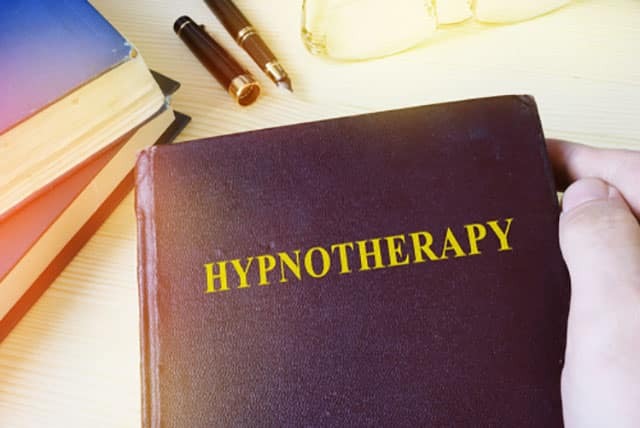 For a clear explanation on what hypnotherapy really is, how it works, and the benefits it can give, continue reading the article below. Also called hypnotic suggestion or medical hypnosis, hypnotherapy is a trance-like state wherein your concentration and focus will be heightened. A hypnotherapist will perform this for a deeper exploration about your mental or medical conditions by using mental images and verbal repetitions. Once you’re under a state of hypnosis, you will be more open to suggestions and will feel more relaxed and calm. You will remain in control, and it’s impossible for other people to force or order you to do anything that you don’t want. You will be the only one in charge with the actions you will be doing. It is not like you will be totally knocked out. You will not be unconscious or asleep during hypnotherapy, and you will remember everything that occurred in your hypnotherapy session. You can also break the hypnotic trance at any time. Since medical hypnosis puts you in a hypnotic state and allows people to explore undesired feelings, thoughts and memories, that might be hidden behind their conscious minds, it is usually considered as an aid to therapy or counseling. It also enables people to perceive things in a different way, such as preventing pain awareness. It will be performed in a quiet, calm, and therapeutic environment wherein the therapist will ask you to remember the situations and experiences you’ve encountered in the past, and will help you perceive it in a positive way to help you change the way you behave or think. Patient analysis – It explores the possible psychological cause of a symptom or disorder, such as the hidden memory of a traumatic event within a person’s unconscious mind. It can be addressed in psychotherapy once the trauma is revealed. Suggestion therapy – This state will make a person respond better to suggestions. As a result, it can help them change their undesired behaviors, such as alcohol addiction or smoking. This is also useful in treating pain, and helping people change their sensations and perceptions. Hypnotherapy is a procedure or tool that facilitates therapies of different kinds, as well as psychological or medical treatment. It is not a form of psychotherapy or psychotherapeutic treatment. You should ask your doctor if you can do hypnotherapy sessions because they’re the ones who can only suggest or decide if hypnosis can be used along with your other treatments. There’s a lot of treatment for insomnia, such as cognitive behavioral therapy and medication, but getting enough sleep is not something that you can tell yourself to do. Insufficient sleep can affect your memory and decision-making, which may lead to obesity, heart disease, and other ailments. Hypnotherapists will help you with your sleeping problems by letting you think of or imagine the time you had a great sleep, and they will put you in that state. They will also suggest removing the thought that you have insomnia. Exercise and a healthy diet can promote weight loss, but getting rid of some unconscious and emotional factors is also an important part of losing weight. Hypnotherapy used in weight loss has a different approach from other disorders or conditions, because you may have to take several sessions to be able to determine what triggers your overeating. Hypnotherapists will ask you if you’re eating snacks between meals or if you’re an all-day eater because everyone is different from one another, and each person has their own vices. They will help you by commanding you to control your eating habits, such as telling you in your relaxed state that after six bites of your food, you will close your eyes and tell yourself that it’s enough. Even if you already have a background about hypnotherapy, it is always better to do more research about it and ask your doctor if you can take hypnotherapy as an aid to your condition to make sure that you’ll get the best treatment.